Discussion in 'Ad Campaigns' started by pinopino, Jan 29, 2018. Evocative of the reimagined American codes which Chief Creative Officer Raf Simons has established as his vision for the house, the season’s imagery nods to filmic tensions. American horror is juxtaposed with the mythic American dream, intrigue and mystery with beauty and horror. “They are both a part of life,” says Simons. “This collection is a celebration of that: a celebration of American life. I think the images are interesting but it's too similar to last season, except they've moved away from the highway and ended up on a farm. It doesn't help that the clothes could easily be from Fall '17 either. I see Julia, Mica, Lulu, Blesnya and Sara Grace. @dodencebt: I agree but still I prefer these images to the ones of the CK and the Eyewear Campaign by far! The first shot looks like a bts image, and the rest are too zoomed out to work as campaigns. Can look pass the atrocious satin pieces, so hideous! Overall there's nothing new to see here. I think I have trouble with the conception of the campaigns. These images add nothing to the clothes. Willy Vanderperre isn't versatile enough to do everything at CK. It becomes lifeless and lacks certain wow factor. Raf clothes would look amazing if shot by others. The cropping is also very weird. This looks like a beautiful editorial to me, but not an advertising campaign. Still, I think it's good. I like it better than last season's so far. I like the mood and location. The cast is good, too. Looking forward to see more shots. More than 20 models are photographed in and around a weathered barn; at once implacable and familiar, it could be found anywhere across the country, from the Heartland plains to California. 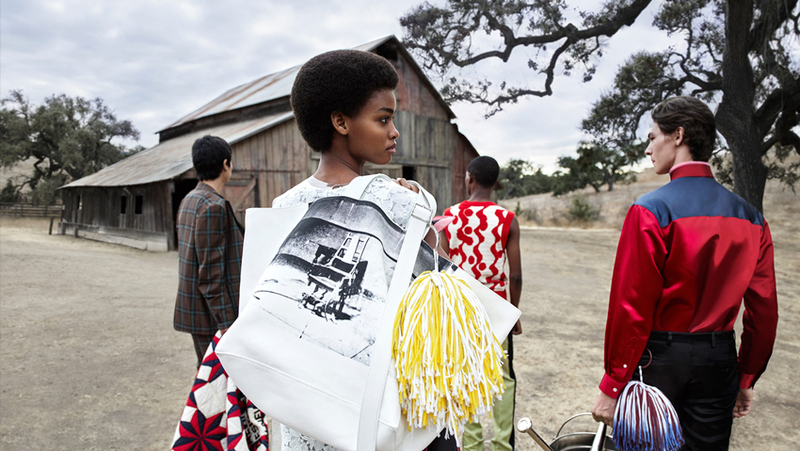 The cast wear runway looks (including screenprinted styles created as part of a unique, ongoing collaboration with The Andy Warhol Foundation for the Visual Arts), and carry totemic objects created by Simons’ longtime collaborator, artist Sterling Ruby. Also depicted are a selection of the vintage, one-of-a-kind quilts which have become a key motif of CALVIN KLEIN. Together, this visual vocabulary defines the brand’s perspective for a New Americana. Cinematic? Hahahaha! Please, Willy Vanderperre can only wish. 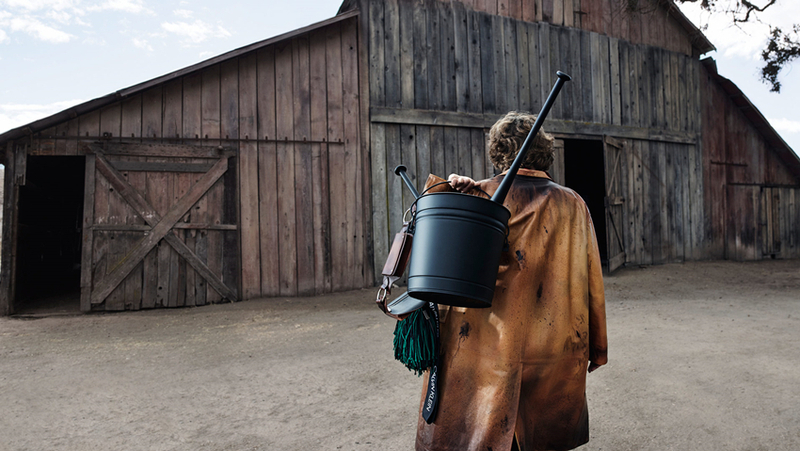 It's interesting that Prada and CK insist on 1001 campaigns but none of them look vaguely interesting. I wonder what's, or who's, the parallel between these two brands? OMG I can't believe that i'm finally here! Two things to say: Leila is the perfect CK girl but dear Lord, Raf is making something iconic into something pretentious and boring AH. I like it. The indoor shots are better though. Still, they are too crowded. Raf should focus on just a few models and get rid of Leila and Julia as soon as possible. They are clearly the weakest link here. Im sorry but Belgians trying to go all Americana looks REAL awkward here. I rooted for them though ( Sweet Raf and Pieter and Willy...) gave them the benefit of the doubt the first time around but I'm passing hard on this. It looks crowded, out of place, theatrical more than cinematical, over composed, try hard and with the carpets thrown in just plain stupid. the shots taken from behind just remind me of the ones i usually take from models secretly when we go to the next location on set . I am not into this campaign, as usual very pretentious but i like, for once, Willy Vanderperre's images in colours. Im sorry but Belgians trying to go all Americana looks REAL awkward here. As awkward and contrived as US Harper's Bazaar and their 'Parisian' edit with Paris Jackson. The irony is that they probably believe this is better due to the austere and hf vibe? If only. Someone should explain to Willy Vanderperre that misé en scene and blocking is a craft, a talent. You either have it or you don't. He's trying to tell multiple stories in one frame and it falls flat just like it did with CK's debut campaign. Leave this sort of thing to Leibovitz and get back to shooting cold and sterile edits for Another, you're in way over your head! I actually like the images, looks like the story for The Walking Dead, next season they'll be in an abandoned jail. Isn't this the same place where he shoot the Kardashians / Jenners / Gerbers, even the blankets are the same. If this is cinematic - this is one boring movie.